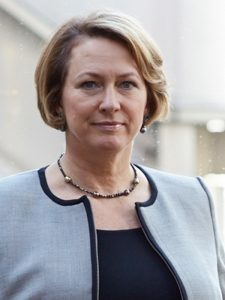 Inga Beale joined Lloyd’s in January 2014. Previously she was Group Chief Executive of Canopius, a prominent Lloyd’s managing agent. Prior to that she spent four years with Zurich Insurance, including a period as Global Chief Underwriting Officer. She was Group CEO of Converium Ltd, the Swiss mid-sized independent reinsurance company and, while there, she led a major turnaround of the business before it was acquired by SCOR in 2007. She started her career as an Underwriter with Prudential before spending 14 years in a variety of international roles for GE Insurance Solutions. She is a member of the Government’s Financial Services Trade and Investment Board and the Mayor’s Business Advisory Board. In July 2016 she also joined the Board of the Chartered Insurance Institute.